Services for Linda Dobbins, 70, of Groton will be 11:00 a.m., Thursday January 24th at Paetznick-Garness Funeral Chapel, Groton. Rev. Bill Duncan will officiate. Burial will follow in Summit at a later date. Visitation will be held at the chapel from 5-7 p.m. on Wednesday. 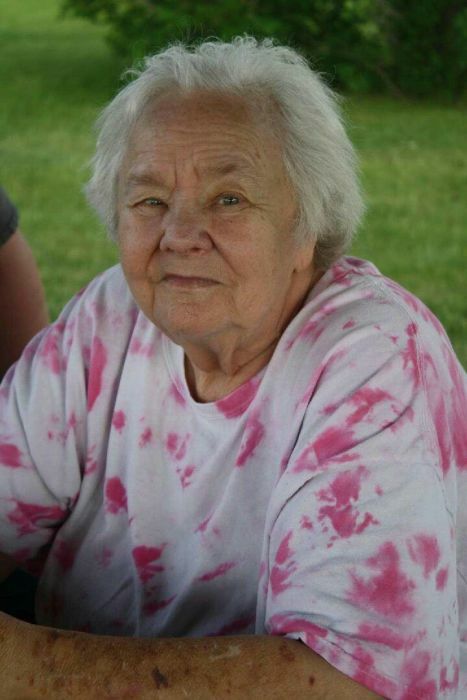 Linda passed away January 18, 2019 at Avera McKennen Hospital, Sioux Falls. Linda enjoyed spending time with her children and grandchildren and especially loved traveling with them. She was involved with Community Event Pick-Ups for the Lions, Kiwanis and Exchange Club. Linda was an animal lover and her dogs held a special place in her heart. Celebrating her life are her children: Tracey (Jack) Lowery of Summit, Tina (Paul) Kosel of Groton, Trixy Schwabe of Groton, Teresa (Ron) Lutz of Henry, Paula (Dean) Kramer of Aberdeen and Perryn (Angela) Dobbins of Groton, 15 grandchildren, her brother, Robert Clark of Groton and sister, Judy (Doug) Orton of Boise, Idaho. Preceding her in death were her parents and her husband, Leslie. Honorary Casketbearers will be her grandchildren: Jack, Jr., James, Jeffery, Dominique, Douglas, Danielle, Mackenzie, Logan, Julianna, Jeslyn, Hunter, Crystal, Jaden, Toby and Rachel.